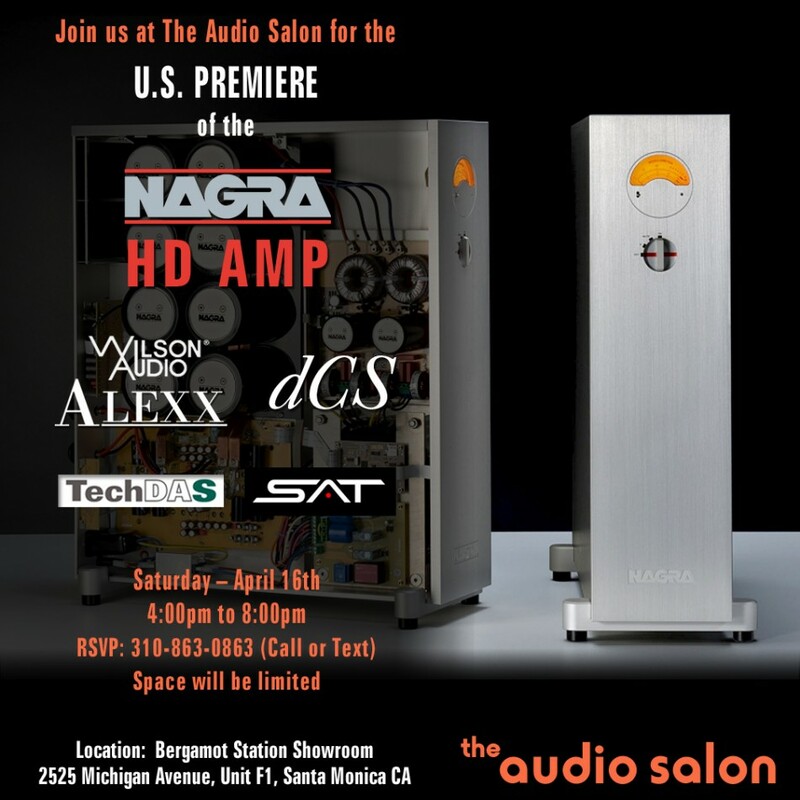 Join us this coming Saturday afternoon for the U.S. PREMIÈRE of the NAGRA HD AMP. NAGRA’s CEO, Pascal Mauroux, Hi-Fi Director, Matthieu Latour and US Sales and Marketing Manager Rene Laflamme will be here to play HD files from Nagra’s vault, and to engage in conversation about NAGRA and their products. Join us for a wonderful musical evening. We look forward to seeing you. RSVP by phone or text to 310-863-0863, or by email: maiershadi@gmail.com. Seating will be limited.